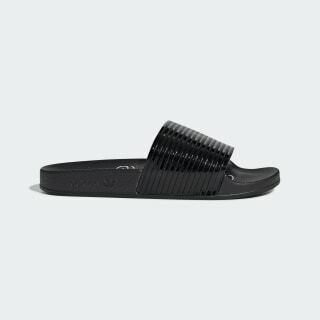 A sporty slide with a laser-cut patent leather upper. The Out Loud collection celebrates confidence, self-expression and modern femininity. 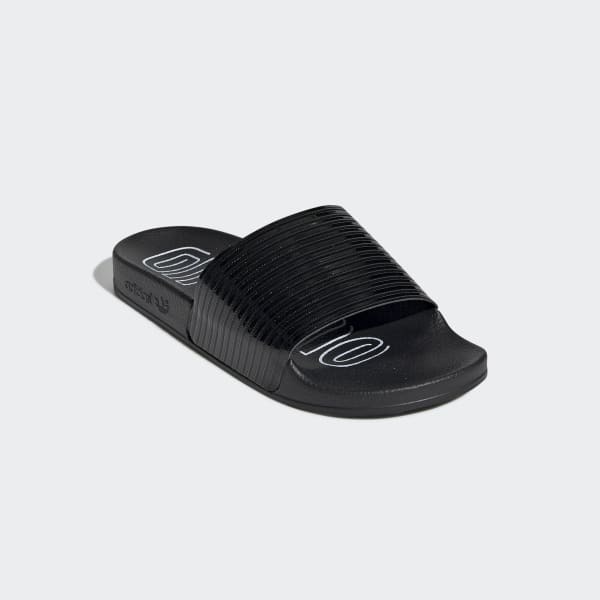 This "Out Loud" edition of the Adilette is a fashion-forward take on an adidas classic. The patent leather upper shows off a laser-cut design, and "OUT LOUD" wording decorates the contoured footbed. They're made with a wide, women's-specific fit.